Hey Guyz, If you are going to Purchase anything from Amazon, just wait a minute, read this trick to get 150 Rs amazon gift card for shopping anything worth 599 Rs or more. Just follow the simple steps and you can get 150 rs amazon gift card and can be use that extra 150 Rs in buying anything from amazon, this way you can get extra value on your shopping. Visit Amazon.in and Create a new account with new email ID. Now after confirming the account, Click here to do Shopping of 599 Rs or more, that's it. 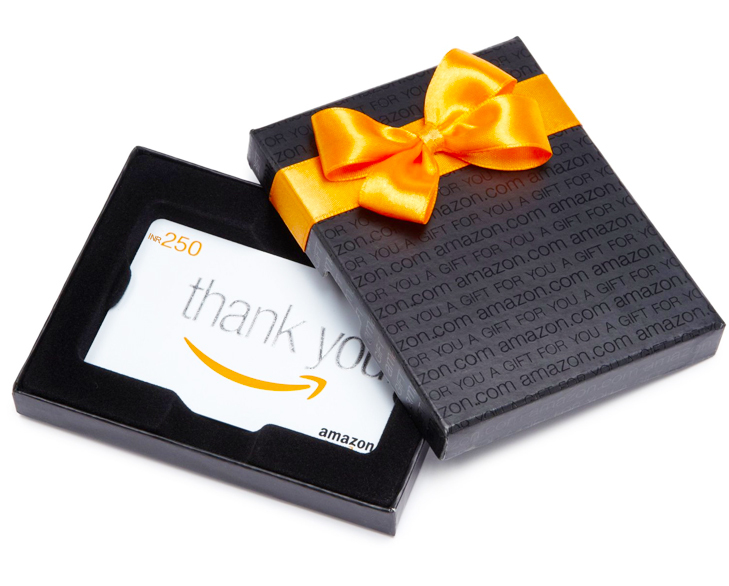 Now you will receive 150 Rs in your amazon gift card balance after buying anything from amazon india. Hope you like this small but useful Free amazon india gift card information. Please note : This offer is applicable till 16th august 2015, so whenever do shopping online, use the above process to shope and get 150 rs amazon gift card. Stay connected with All INDIA Coupons for more deals and Coupons. Thanks buddy for providing us the info about this awesome offer, i initially used your other amazon gift card for 100 rs free voucher and did 3 times shopping from different new accounts and got 300 rs as amazon gift voucher. now it's time to use this awesome offer. thanks again. Keep posting more good offers like this.